Revlon is an iconic brand that needs no introduction. I am sure most of my readers would have used their products at some point of time - whether it is their lip colours or primers and foundation or something from their beautiful range of nail enamels. I love Revlon nail colours. They deliver such gorgeous and smooth colours making nails look oh so glamorous. Today I am delighted to bring to you a new offering from Revlon - the Shine Addict Nail Buffer. The Shine Addict Nail Buffer's fast and effective technology enhances the natural shine of your nails in under a minute, leaving you with a beautiful glossy finish. Shine Addict has an unique micro-grain roller surface which buffs each nail in just two seconds and saves you having to apply clear nail varnish to achieve a beautiful sheen. You can also use the nail buffer to create the perfect base prior to applying nail varnish. The Revlon Shine Addict Nail Buffer comes in a stylish compact design and is perfect for when you are short of time for a salon manicure or for those times when you want to keep your nails in tip-top condition while on the move. Because of the compact design the nail buffer makes for a great product to carry on your travels - just pop it in your hand bag and use it while on the move to ensure quick mani fixes whenever or wherever you are. A really handy product for achieving beautiful and natural nails. The Revlon Shine Addict Nail Buffer is priced at £29.99 and is available from Amazon and Superdrug. Does it sound interesting? Would you like to get your hands on this new product from Revlon? Here is your chance. 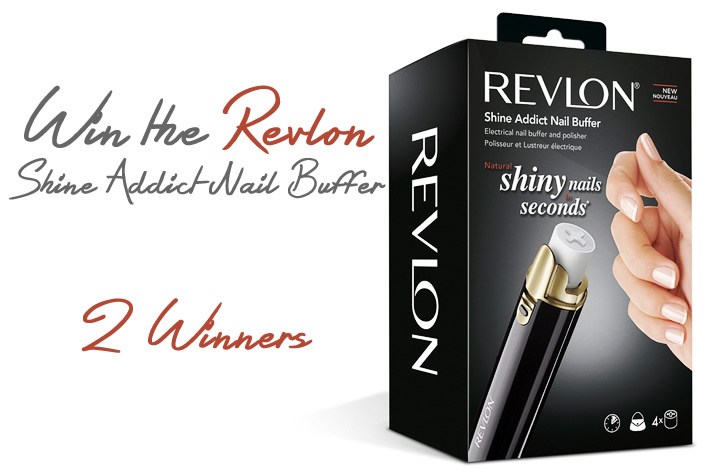 Revlon have kindly offered to giveaway the Shine Addict Nail Buffer to two lucky readers of DB Reviews. All you need to do to be in with a chance of winning is enter via the Gleam widget below. The more entries you complete, the more chances you have of winning. All the best! Yes, I have bought lots of Revlon makeup including nail varnish, lipsticks, eye liners, brow pencils and eye shadow. Yes I swear by Revlon Colorstay Gel Evny nail polish (especially their top coat!) literally the only polish that lasts without chipping for longer than 4 days! Would love this. It looks like an amazing manicure tool! I've only ever bought their nail polish. I've tried a few of their lipsticks previously, but don't have any at the mo! I only have one Revlon nail varnish in a bright red colour! Love it! I'm sure I've used Revlon makeup at some point in my life, but I can't say for certain. I have used Revlon nail varnishes. Love their nail polish! Its fab! Yes I used Revlon nail varnishes before and I love them. I have only used their mascara in the past. Haven't used Revlon ever but I am excited to try it ou! Revlon nail varnishes, gorgeous colours and lasting shine. Yes! Where do I start!!? The false eye lashes are wonderfully secure, and the mascara is the best I've ever tried. With revlon, u know ur buying quality. No because I hardly wear makeup but I would love to try. Several including nail polish and mascara. Love having my nails all shiny! Gives me a wee confidence boost! I love their nail varnishes! I love revlon lip products but I've never tried anything else by them! I have used some of their eyeshadow palettes and lipsticks! No, I've never tried but would love too! Yes, I use Revlon eyeshadows. This is a great giveaway, thank you - Good luck everybody. I used to always use their illumination foundation! I've tried a few, nail polish, mascara and lipstick. I've used lots of their products, I especially like their nail builders products such as "get stronger get longer" which I wear to protect my nails when working outdoors. I've tried nail polish and mascara. Love Revlon nail polishes and lipsticks! My girlfriend has, and she loves Revlon Colourstay Foundation. I've actually never used a Revlon product! Yes - mascara and eye liners. This looks amazing! Love Revlon. 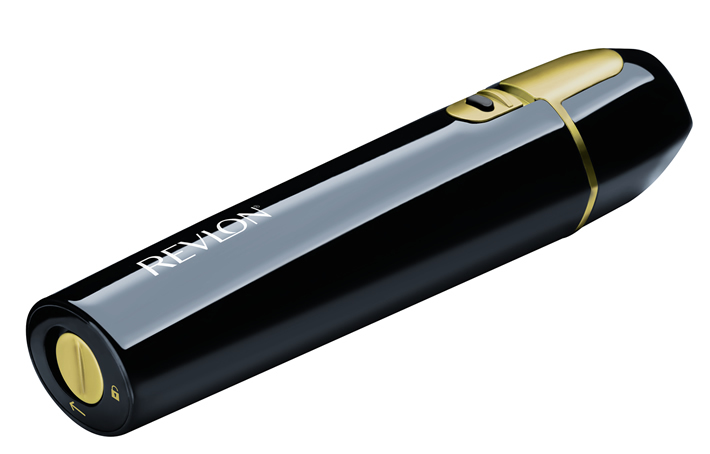 such an amazing gadget from revlon would love to win it. Yes I've used many Revlon makeup and nail polish over the years. Yes, Revlon was my make-up choice when I was younger. I don't use much these days though. I seem to remember they do great nail varnishes! Not used any other products though. Have not used any of these products. Colorstay is my all time favourite drugstore foundation! I would love to try more Revlon products in the future. i am currently using a Revlon eye-shadow palette and a Revlon eye-liner pen.